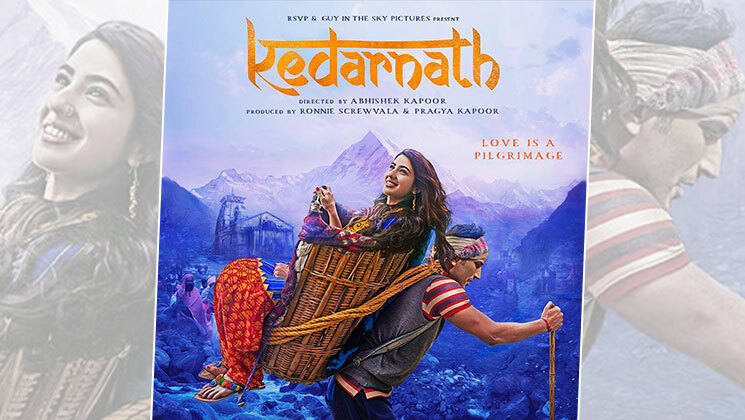 Sara Ali Khan’s debut film ‘Kedarnath’ is once again in trouble as days after its teaser release, the priests of the temple town are demanding a blanket ban on the Abhishek Kapoor directorial. The teerth purohits of the shrine town in Uttarakhand’s Chardham are stating that the movie hurts Hindu religious sentiments by promoting ‘love jihad’. Shukla further added that the priests had strongly protested against the film when its “vulgar dance sequences” were being shot around Kedarnath shrine. Incidentally, locals have already started protesting against its release. In his tweet, Ajay referred to the bold scenes of the lead pair in the background of floods in which thousands were killed and also raised objections on the poster that showcases the hero, a Muslim carrying the Heroine, a Hindu in a palanquin with the Kedarnath shrine in the background. ‘Kedarnath’ also features Sushant Singh Rajput and will be releasing on December 7, 2018.